Dr. Shefali has the authority and understanding to expand our awareness to encompass the dimensions we may not talk about as much. 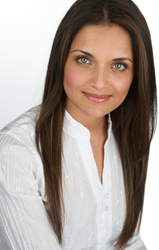 The Care Plus Foundation, Inc. (“CarePlus Foundation”) has announced that Dr. Shefali Tsabary will present at Bergen Community College for the 2016 Annual Conference for Children on Friday, April 1. The world-renowned doctor will share her expertise in blending the western study of clinical psychology with the eastern philosophy of mindfulness. Dr. Shefali is a clinical psychologist, award-winning author, and international speaker who has been a keynote at numerous events. In addition to being a frequent flyer on the Oprah Winfrey Network (OWN), Dr. Shefali has also presented at TEDx, Wisdom 2.0, The Kellogg Business School, and The Dali Lama Center for Peace and Education, among many other conferences and workshops. Her most popular book “The Conscious Parent: Transforming Ourselves, Empowering Our Children”, a New York Times bestseller, has been called one of the most profound books on parenting by Oprah. The concepts and approaches to parenting that are explored in the book will be the driving force of the conference presented by CarePlus. The presentation, entitled “The Art of Conscious Parenting: Bringing Mindfulness to Families”, will consist of a number of topics including the foundation of mindful connection and learning to transform the act of discipline by using appropriate consequences. The event will include practice sessions for the audience to put lessons into action, as well as a question and answer segment. There is also time reserved for a book signing at the end of the event. The event will run from 8:30 am to 1 pm and will include a continental breakfast and beverages. Participants can register online at http://www.CarePlusNJ.org/2016Conference. CarePlus has noted that seating is limited. The registration fee is $75 and includes 2.75 Continuing Education Units approved by the New Jersey National Association of Social Workers. The CarePlus Foundation is also seeking sponsorship and resource tables for the event. For more information, contact Alexis Fatigati at 201-981-5070 or AlexisF(at)CarePlusNJ(dot)org. The CarePlus Foundation – the supporting arm of CarePlus – was created with a mission to decrease the stigma of mental illness and pave the way to accessibility of care for those looking to seek help through community education, advocacy, and fundraising. Care Plus NJ, Inc. (http://www.CarePlusNJ.org) is a northern New Jersey provider of recovery-focused mental health, primary care, substance abuse, and family services that addresses the unique needs of individuals with a holistic approach to recovery and overall wellness. Operating out of 23 sites – including three outpatient centers located in Paramus, Fair Lawn, and Montclair, ten residential facilities, offices at three local hospitals, and seven community offices – their services are convenient to clients located throughout Northern New Jersey. They also provide educational programs on mental health-related topics to schools, organizations, and community groups; training topics including certified Mental Health First Aid, Suicide Prevention, Bullying Prevention and Crisis Planning and Intervention Strategies for Schools.